Available here on BBC iPlayer until 11th May 2018. Bringing up kids and getting them through exams is far from easy. There are countless reasons why some students do well academically and others don’t, but experts agree that parental influence is one of the main factors that can affect a student’s performance in school. In a groundbreaking experiment, this programme will put that to the test. Chessington Community College in Greater London, like all schools, has some students who excel and others who are failing to make the grade. In an attempt to change the paths of two of their students the school have decided to embark on a radical experiment. 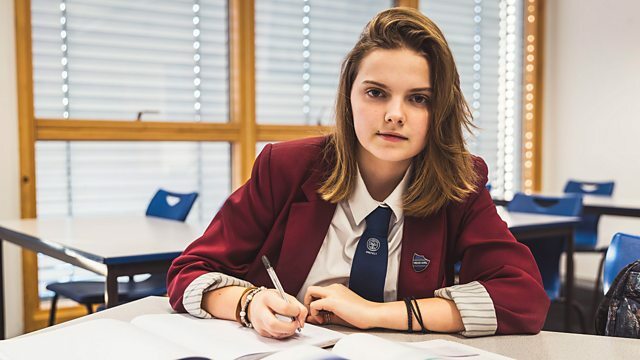 Like many teenagers, Year 11 students Jack and Hollie struggle with results and behaviour but with their crucial GCSEs on the horizon it is time to try and change things. In order to do this they will move into the homes of two of the highest achieving pupils in their year, for half a term. Can this complete change in home environment improve things for them? Hollie moves in with Holly H, a wannabe lawyer with a clutch of A*s in her sights and a dizzying rota of extra-curricular activities. Jack goes to live with Tharush, who arrived in the UK only a year ago from Italy but is already shining at school. Tharush’s work efforts are exceptional – he does at least two hours homework every night, and that is on top of extra tuition. How will Hollie and Jack cope as they have to fit into every aspect of their new families’ lives, living by their strict rules and routines? As they wrestle with the early bedtimes, tough homework schedules and curfews, can this revolutionary change in family life bring about a lasting change in their results and futures? See a video clip about the programme here.